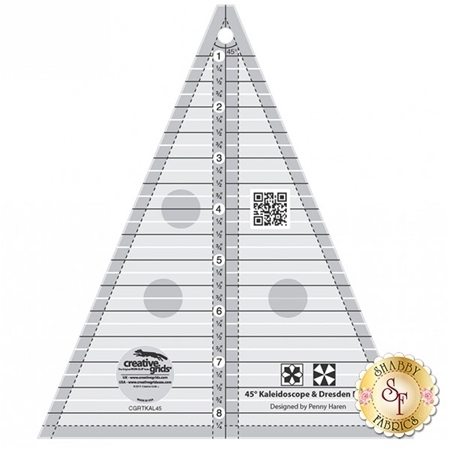 This 45 degree Kaleidoscope ruler is perfect for cutting designs created with 45 degree triangles, like the kaleidoscopes and Dresden Plate blocks. You can also create saw tooth borders using this handy ruler! This ruler also features gripper dots and gripper edges to help hold the ruler in place while cutting.